10 Tips to the Perfect Yoga Practice - Eat. Drink. Shrink. For many of us, yoga is just a form of exercise and a way to burn calories. For others though, it’s an experience, and an opportunity to take a step outside of our normal mindset that’s cluttered with to do lists and schedules. For those who struggle with leaving their mental baggage at the door, I’ve compiled a brief list of strategies to allow you to seamlessly get to class with a clean mental slate and make the most of your practice in 2017. While these are just personal preferences I highly recommend trying them out! While I fully enjoy each moment from beginning to end, my personal favorite period is the very beginning when you mentally arrive. I’ve asked many of my students what their favorite part is and it’s typically savanna, aka.. the last few moments at the end of the class where you just let it all go. I relish those moments as your body is so exhausted that you organically can just clear your mind. However, while that’s one of my favorite yoga moments, I personally love those first few moments in the very beginning when we are all trying to decompress forget our schedules and social media. The majority of instructors provide students with only a brief moment of silence to help clear your mind. Sometimes though, that just isn’t enough. I make an objective to arrive early and do some personal meditation before the class to improve my practice. Just like the brief moment of silence, we are given a few stretches to prepare for class, and then we’re moving straight into poses. This is typical, but in my own practice I always love to allow myself an additional 10 minutes of stretching post mediation to to help me better mentally arrive and mitigate aches/ sore muscles post class. Stretching tends to relax the muscles, and with relaxing we can more so remove ourselves from what’s going on outside the studio room. Out of all the pre yoga stretches, this one below is my personal favorite! Come onto all fours. Inhale and bring your left knee to meet your left shoulder. Hold for 5-10 seconds while not losing your form. Exhale and shoot your leg straight back out while engaging both your legs. Pretend as though someone is pulling on your lifted leg to reach further. Inhale and bring that lift knee down and cross the body to reach for your right shoulder. Hold for 5-10 seconds. Exhale and shoot your leg back out. Switch sides and repeat. I know what you’re thinking, candles? Yes. I love to use candles in my class as I find that it sets the tone and energy of the practice. 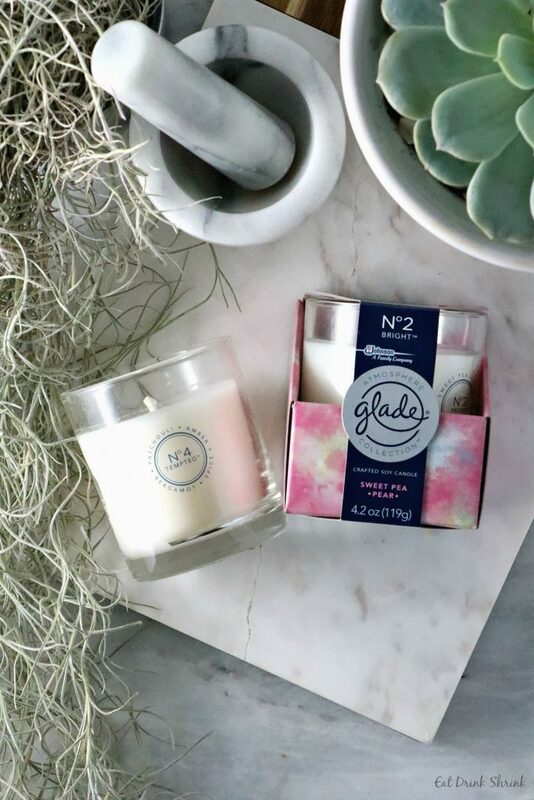 Whether it’s daylight or evening, candles evoke a feeling or relaxation and make the transition to let everything just go seamless. 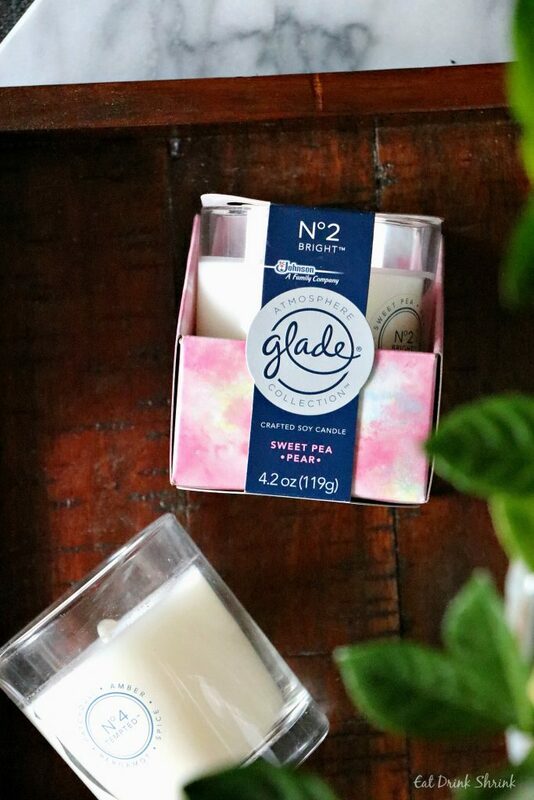 The NEW Atmosphere Collection™ Fine Home Fragrance by Glade® are soy based and accessible at Kroger’s nationwide. These new scents are beautiful and permeate the air even in the larger yoga studios. 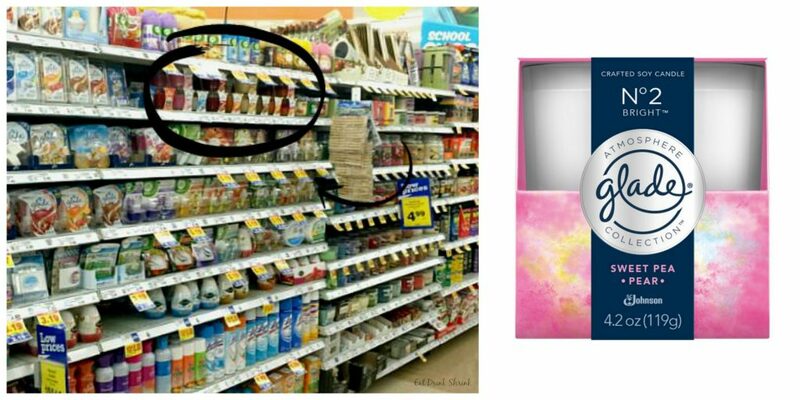 I highly recommend Glade® N°2 Bright™ and N°4 Tempted™! Bright lights tend to increase our energy making it hard to relax and clear the mind. I recommend drawing the shades to further enhance your practice. Yes, I know, it sounds impossible for many, but try it! For myself I drink minimal coffee. I find it dries out my skin, puts me on edge and just isn’t for me. However, when the warm weather hits, I crave iced coffee. In any case, a high caffeine intake isn’t going to serve you in your practice. It amps you up mentally, which is good if you’re going for a jog, but isn’t ideal for yoga when you need to minimize thoughts. Caffeine also promotes dehydration, which can lead to muscle pain. I highly recommend decaffeinate tea, water, or green juice. You’d be surprise how many people don’t do this. While it’s good to have some food in your stomach, it should be minimal due to the amount of twisting and turning you’ll be doing in your poses, which enhances bowel movements. To give you one less thing to worry about, avoid high fibers foods and instead op for high protein such as nuts. Unless you’re going on a run, you don’t need an abundance of carbs before a yoga class. When you’re not taking in enough fluids, dehydration can affect your ability to find mental clarity before a class. Drink at least 8oz of water prior to class, especially if taking hot yoga. While it may be near impossible for some to to reduce your screen time, I highly recommend it at least an hour before class. Cell phones are not typically allowed in studios, but I make an objective to only check my emails in the morning then hit a class without picking up my phone until after. If your schedule allows you to do this, I highly recommend it as it allows you to better remove you from what’s going on outside the studio. A cold room is a bad room. While you don’t want an overly heated room, you need a room temperature the is 69 degrees or warmer. Warm temperatures enhance relaxation and get the body moving versus the opposite. Something I learned in my yoga training that will forever stay with me, is that the class doesn’t end when you pick up your mat and head out the door. We should make an objective to take the class with us, the energy we gained from it. Although a single day of my training was much more rigorous than a 45 min class, I saw the world through a different lens when I left. To help take the energy with you post class, I recommend not rushing to the door at the sound of namaste. Instead, “stay” til the very end to maintain your energy.